From Exit 284 on I-65 North, cross straight over Highway 160 onto White Oak Trail (the road between the Shell Station and Logan's). Go about 2 miles north and turn right onto Smoke Rise Trail. Go to the third corner and turn left onto Scenic Trail. Continue north about a mile and you will come to a stop sign with a fire station on the right and a community pool on the left. Continue straight on Scenic Trail. Smoke Rise United Methodist Church will be on the left. 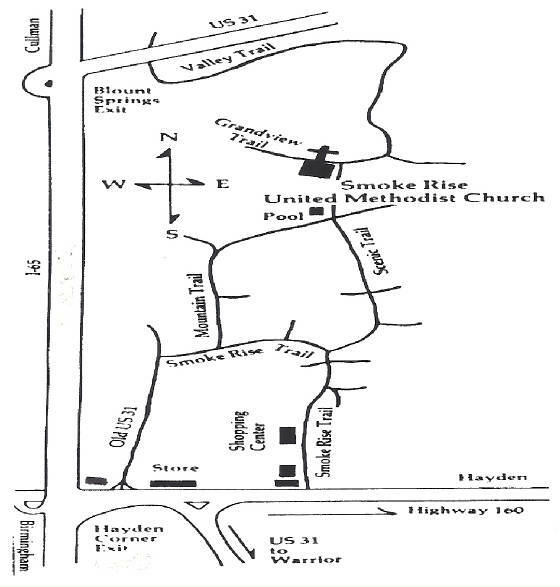 Click here for map to church and for driving directions. 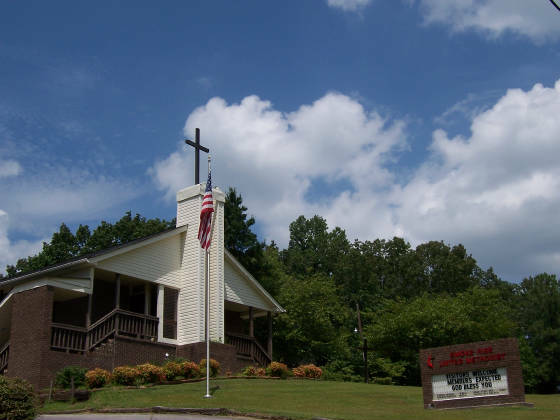 Click here to download a MS Word document with the map to the Church. Click on banner for link to N. Alabama Conference web site. Click on the UMC banner to link to the national web site.